Supergirl is interrogating Vril Dox at the DEO, but things go wrong very quickly. However, this proves to be only a dream, and the fourth such that Kara has suffered in a week. On waking, a message to turn on the news is seen on her tablet, and Kara does so to see that the DEO has been destroyed. This, too, is another dream, and Kara is continuously attacked with apparitions from the aforesaid. However, Kara alerts whomever is listening, that she learned to control her dreams while asleep within the Phantom Zone. Supergirl takes control of the situation, and flies towards where she believes she'll find her tormentor to put a stop to it. 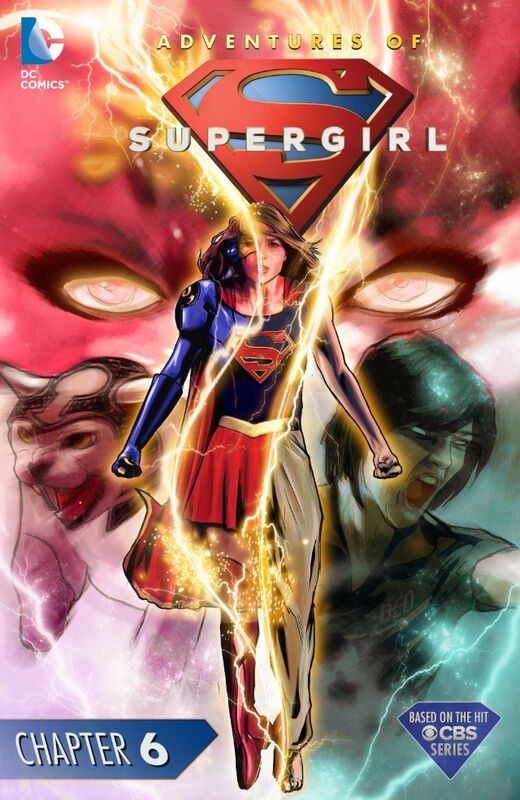 Story - 4: Adventures of Supergirl has gotten heavier and heavier since its opening. Readers were left with a pensive Supergirl last issue, and now we see her having to combat her inner worries as she's attacked through her dreams. These types of stories usually come later in a new series, but since Adventures of Supergirl supplements the tele-series, it's easier to think of them, these tales, as interludes between episodes. That being the case, it's a solid installment, one in which we learn that Kara has a degree of mental control, a such that she can control her dreams, which is quite impressive... though it contradicts the events of "For the Girl Who Has Everything". Perhaps a Black Mercy is a more potent adversary than whatever Supergirl contends with here, and readers will have next issue to make that determination, with me being foremost among them. Art - 3: Lupacchino offers a flowing line for the book, which works with the starry conditions that are thrust upon Kara, but are also the weakest renderings on the book thus far. Cover Art - 4: I just want to know what's up with the cat!